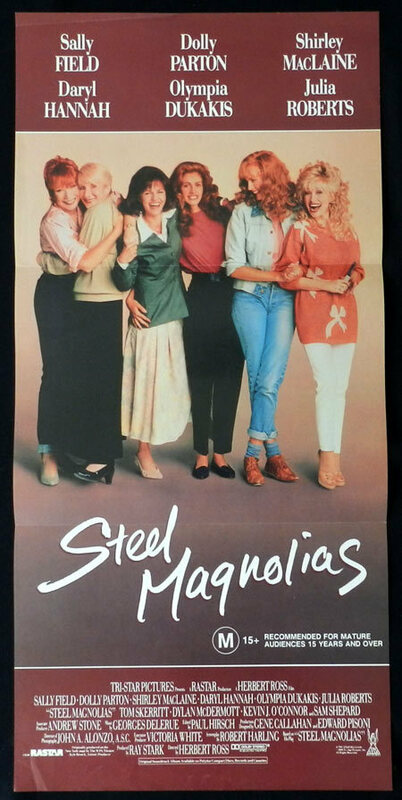 This Tuesday matinee stars Sally Field, Dolly Parton, Shirley MacLaine, Daryl Hannah, Olympia Dukakis and Julia Roberts. A young beautician, newly arrived in a small Louisiana town, finds work at the local salon, where a small group of women share a close bond of friendship, and welcome her into the fold. Comedy, Drama, Romance. Rated PG. 117 minutes.